Deceptive and Unfair Trade Practice Act Violations in D.C.
Handling Deceptive and Unfair Trade Practices Act Violations in and around Washington, D.C.
David Hannum, a competitor of P.T. Barnum, once said “there’s a sucker born every minute” –­ and it seems like manufacturers, distributors and retailers have been trying to prove him right ever since. Thankfully, in the United States there are state and federal laws that govern commerce and protect people from the unfair and deceitful acts of those who seek to separate them from their money. The Federal Trade Commission Act (FTC Act) (15 USC45) prohibits “unfair or deceptive acts or practices in or affecting commerce” and many statutes give citizens private rights to bring certain actions. 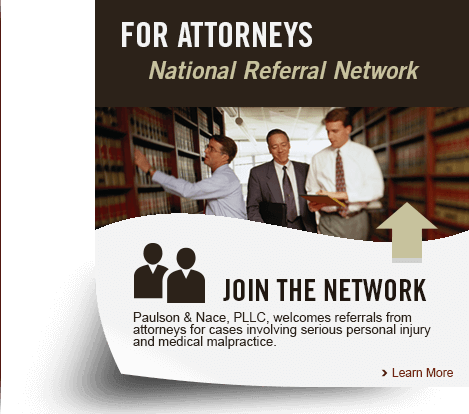 At the law firm of Paulson & Nace, PLLC we always have our clients’ best interests in mind as we fight to protect their rights against unscrupulous business practices. When you need a strong advocate, you can trust our consumer protection lawyer to protect your rights. [are] likely to cause substantial injury to consumers which is not reasonably avoidable by consumers themselves and not outweighed by countervailing benefits to consumers or to competition” (15 U.S.C. Sec. 45(n)). It is important to note that while consumers suffer losses with regard to deceptive business practices, so do other businesses. What are the penalties for unfair or deceptive trade practices? When the FTC has a reason to believe that a certain business practice violates the law, there may be an administrative trial and civil penalties. The FTC can issue cease and desist orders for violators of the provisions of the law, and penalties can range from criminal and civil sanctions. You may also have the ability to bring a civil action yourself in certain circumstances to hold these wrongdoers accountable. If you or someone you care about has been misled by deceptive business practices, you can schedule a no obligation consultation with a Washington, D.C. consumer protection attorney from Paulson & Nace. We are ready to listen to your story and advise you as to the best course of action. Businesses that only want to protect their interests will not do anything to protect yours – but we will. At Paulson & Nace, PLLC, we offer comprehensive counsel to victims of unfair and deceptive trade practices. To find out whether you can bring a lawsuit against a company under the Federal Trade Commission Act, please call 202-930-0292 or fill out our contact form and speak with a Washington, D.C. consumer protection attorney today.